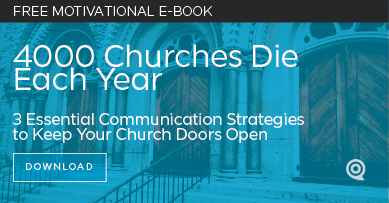 Many churches are spending large amounts of resources (time, money, etc.) to figure out their mission and vision. That internally-focused process is necessary — although I’d caution church leaders to check the Divine Handbook (the Bible) and you’ll see that our mission and vision are clearly described. Stop trying to come up with something new. In fact, most churches simply retell the biblical mission and vision with different words. Why do we do it? Often, church leaders enjoy reviewing what they are accomplishing and how they’re directing their congregation to great things. It’s always fun to talk about ourselves! But I believe that no vision or mission statement will directly reach our community. Often, these overly-pithy, complicated statements become a barrier to the outside world. Why? The community is not looking to understand why you’re doing what you do; but instead, seeking something else from you. When you go to a restaurant for a favorite menu item, you don’t want the waiter to explain why they do what they do. Or even how the cook prepares the food. This business plan would be a barrier to what you’re trying to get! You just want the food! Your audience wants you to convert the “why” and “how” to a quick benefit so they have controlled language about what they uniquely receive from you. The solution. Start with your Internal (congregation) and External (community) Audience. You don’t matter as much as them. What are they seeking? What do they need? What goals do they have? This understanding is the foundation of getting people’s attention. Not your vision or mission! They only help church leaders internally focus. Stop communicating them on your website homepage, in your bulletin, and in services. They’re simply your internal business plan. Most in your congregation or even leadership will never memorize them (even though you think “everyone” has). How does your vision correspond with their needs and goals? More than likely, your vision describes how or why you do what you do. But, instead, you need to describe the product (or service). If the unique way the cook prepares the food impacts the food in such a way that someone would see it as different or a solution to their problem, they’ll care. Tell them the solution first and then the why (or how). Speak the benefit as a simplified thread. 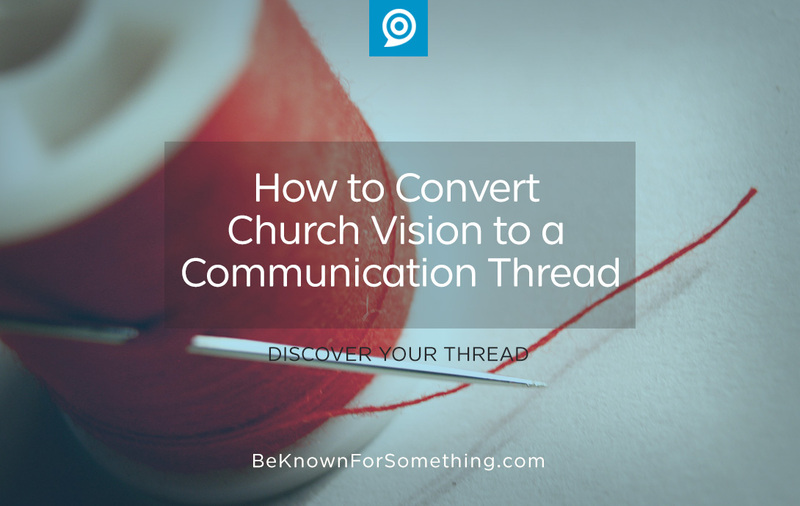 In order to reach your community, you need to be known for a communication thread. Something that’s easy to remember (3-5 words) that describes what they are seeking. Take the culture that’s represented in your vision and decide the benefit to the audiences. Then speak the benefit over and over. Be consistent and you’ll attract a crowd of people who want your solution! While there is some value to what you say, mostly as it pertains to those outside the church, you’ve made the classic blunder of casting the congregation as consumers. The congregation is to be equipped for the work of the ministry. The vision and mission Jesus taught is to become fishers of people and disciple-makers, not to be well served as if church leaders are the wait staff at TGI Friday’s. I understand. I’m sorry you read it that way — it wasn’t my intention! Although, the classic blunder often comes from people who think they can separate the consumer-nature from a believer. I pray that the conversion process starts that happening, but I don’t experience that often when I visit congregations.